Vertical mounting brackets for optical breadboards. Base Lab Tools breadboard mounting brackets allow two breadboards to be mounted perpendicular to each other. Our vertical mounting brackets for breadboards come in a variety of sizes to suit the particular need. 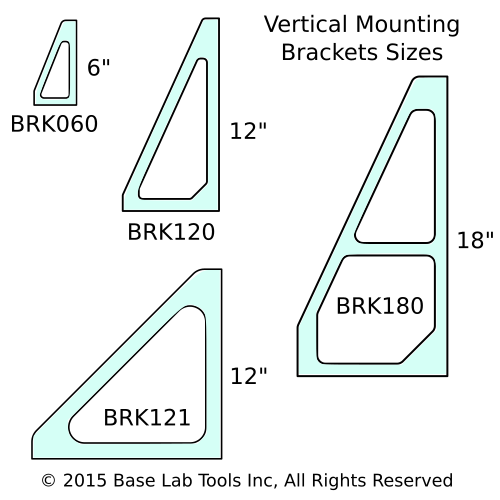 For mounting 4" and 6" wide solid aluminum breadboards to larger tables or breadboards, the BRK060 - 6" vertical bracket is ideal. 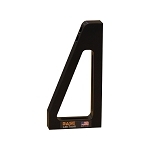 At 12" wide there are two choices: BRK120 - 12" standard duty vertical bracket and BRK121 - 12" heavy duty vertical bracket. 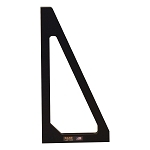 Finally for larger than 12" there is the BRK180 - 18" large breadboard bracket.